I have said in the past, water movies do not make for good bedfellows when shooting for the silver screen. There was one exception a couple of years back with “American Assassin,” an action-drama that put Michael Keaton as one of the leads in a tale directed by Michael Cuesta in 2017. Cuseta did a credible job with the little seen “Kill the Messenger” in 2014. He followed newsman Jeremy Renner and his expos of behind the scenes drug trafficking and the involvement with people in the United States. But that is irrelevant, since “Hunter Killer” succeeds where other water-related tales have failed. The trouble is with most H20 set tales, there is no immediate threat that pulls viewers into the story. Gerard Butler has become the action hero of late that studios go to for any variety of reasons, namely his looks, his ability to play the everyman and his uncanny knack to just tote a gun around and look natural doing it. A portion of the intrigue rests in the fact his Captain Joe Glass persona needs to retrieve Russian commander Captain Andropov (Michael Nyvquist), who was taken as a bargaining chip by some corrupt Soviets trying to stage a coup in their own Russian government. His Andropov helps Glass and his team navigate the trenches below, and avoid any of the bombs that are below the ocean floor floating away undetected. The trouble is, however, that despite all of the antics and explosions on the screen, this movie has a kind of low budget feel and look to the entire production. It might have been beneath his wheelhouse, since this role was almost too close to the role he played as the main baddie nemesis in Wolfgang Petersen’s Oscar-nominated “Air Force One” in 1997. Big time irony also rests in the leads here, because each actor played some form of Count Dracula in the past twenty-plus years. Butler played the fang toothed incarnation in “Dracula 2000,” a mid-budgeted release from 2000. Oldman played the character in Francis Ford Coppola’s “Bram Stoker’s Dracula” in 1992. Each actor gave their own interpretation of the legend that face an untimely demise in the story. Going back to “Hunter Killer,” this movie contains some genuine moments of suspense despite the doldrums that occasionally occur. This is a movie worthy of the big screen treatment, since director Donovan Marsh frames this tale for the big screen. The actor Michael Nyvqist died from a battle with lung cancer sometime last year. He was a great Swedish actor who most recently supported in “I.T.” with actor Pierce Brosnan in 2016. 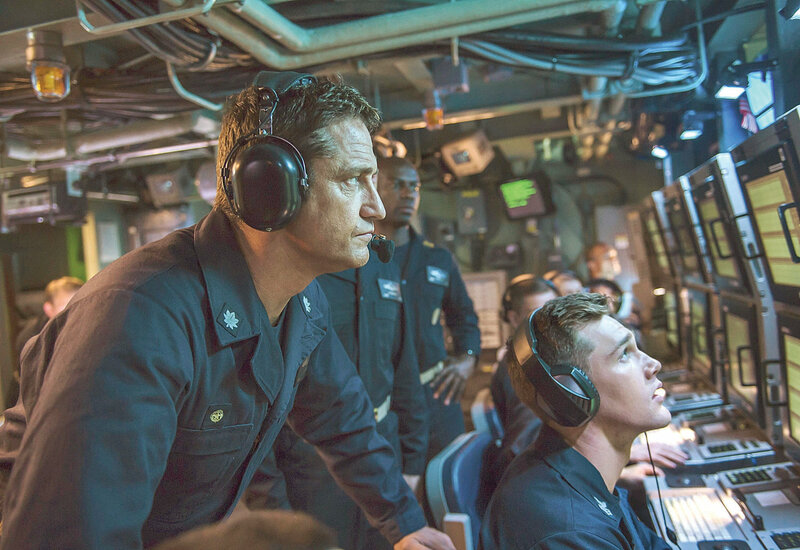 Despite all the drawbacks that occur, “Hunter Killer” deserves a look for the adventure that ensues in this worthwhile time waster that is worth the investment. Wow, this month went by quickly. Love this time of year because all the best movies come out in preparation for the awards season. Of course, they always have to run several movies on the same night so making decisions are problematic. Especially since my car is funky and I can only do one or two movies a week. Anyways, if I missed a listing, you'll be sure to let us know. I hope y'all got the notice that A Private War that was screening on Tues, Oct 30 was changed to Nov 7. This one has been done before, but there is always a new filmmaker who wants to bring their own interpretation to the screen. A colleague of mine pointed out this has been done more than the four times, since 1932’s “What Price Hollywood” shares a similar sounding storyline. This time out it is actor “The Hangover’s” Bradley Cooper who wants to bring his distinct vision to the screen. As a filmmaker, he does a competent job of filming two mismatched souls (Lady Gaga and Bradley Cooper) whose lives intertwine via songs and the written word. Lady Gaga gives an emotional and believable turn as Ally, a woman who does not even like her own nose. She made her big screen debut in Robert Rodriguez’s 2013’s “Machete Kills’ as a character simply known as La Camaleón. It was not anything special, just a way of introducing her to the world of Hollywood. 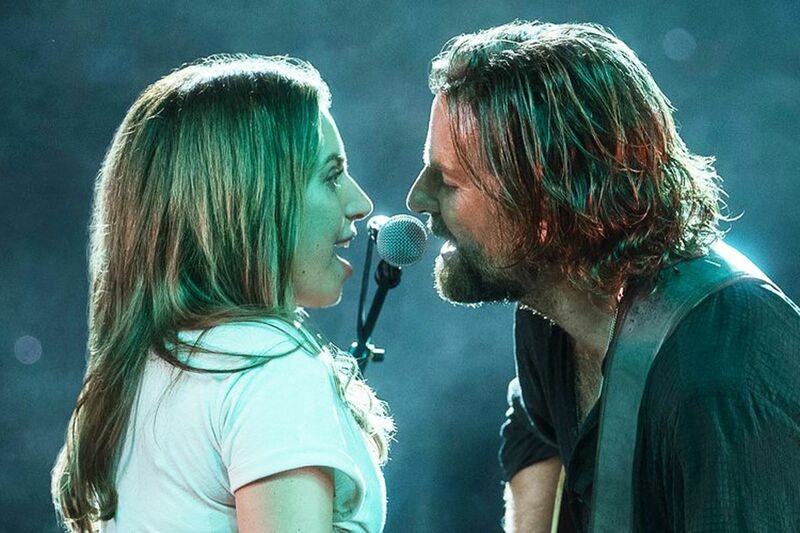 In “A Star is Born,” her character flourishes and gains notoriety and popularity, as well as a billboard in Hollywood, something that even shows off her nose. Meanwhile her better half, Cooper’s Jack, does his best to stay afloat and keep his head above water. His popularity has wavered in recent months, but her following has done nothing but increase in popularity. This one also gets major points since it made me cry. Not anything major, but it strikes the right emotional chord with my being. It was not just the presentation, but the way Cooper told the story. Cooper, along with Oscar-winning writer Eric Roth 1994’s “Forrest Gump” pen a tale that just mesmerizes from the word go. Their chemistry works since the duo share a natural attraction and connection. Cooper knows when to flow in the nuances and emotion in telling this dramatic story that might have taken the hokum train if he wasn’t sure of where he wanted to steer the story. Going back to all of the incarnations and telling of this story, Cooper’s “A Star is Born” marks the fourth time this tale has been told. Besides the aforementioned “What Price Hollywood,” this story was also told in 1937’s “A Star is Born” with Janet Gaynor and Fredric March. The 1954 George Cukor version starred Judy Garland and James Mason. The 1976 version was an Oscar winner for best song. That version starred Barbra Streisand and Kris Kristofferson. I know this one has reached the over praised meter, but I just thought this one was a solid and well told tale. Sam Elliott shares some great screen time as Cooper’s brother, Bobby. The duo lost both of their parents earlier in their lives, so their kinship is important to the storyline. Also cool was seeing the usually obnoxious Andrew “Dice” Clay as Lorenzo, father to Ally. Both Elliott and Clay fill out the parameters for their roles in adding to the dynamics of the story. Also subtle in his small part is comedian Dave Chappelle. He was great in Nora Ephron’s “You’ve Got Mail” and the juvenile “Screwed” with Norm McDonald. Chappelle befriends Jack when he finds him passed out on his front lawn in Los Angeles. I am decent when it comes to my predictions, so I expect Lady Gaga’s name to be in the forefront of this year’s Oscar race. She really is that amazing, and gives a performance that is Oscar worthy. There has been numerous stories about drug addiction that tell of the horror and heartbreak of everyone involved. As this country is once more fighting an opioid crisis, it seems like another public service to bring this problem to the forefront. This new film directed by Felix Van Groeningen, in his English-language feature debut is a more intimate look at the relationship of a father and his beloved son that rings with truth that is not just another Lifetime movie. 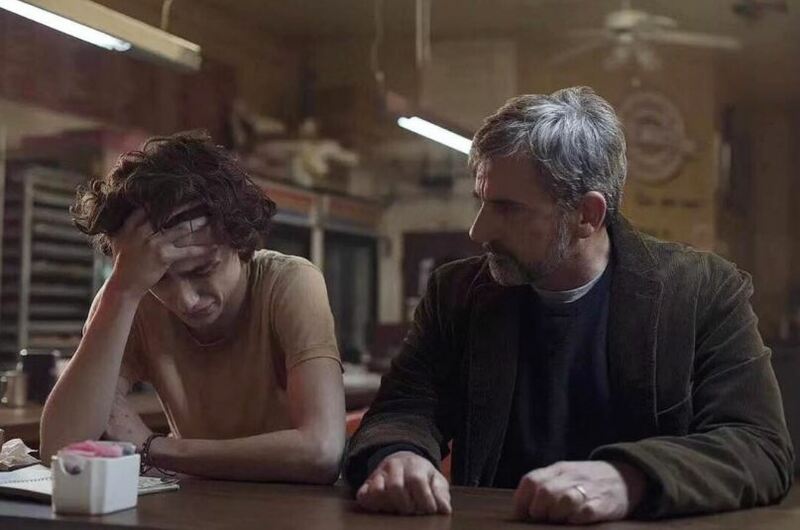 The screenplay, written by Luke Davies and Van Groeningen is based on the true life memoirs Beautiful Boy: A Father's Journey Through His Son's Addiction by David Sheff and Tweak: Growing Up on Methamphetamines by Nic Sheff. Steve Carrell plays David Sheff, a writer, who lives with his second wife Karen (Maura Tierney) and their two young children. Nic (Timothée Chalamet) is from his first marriage with Vicki (Amy Ryan). They have a beautiful house by the ocean, and father and son spend lots of time surfing together. Their relationship fills David with pride. After graduation, Nic has been accepted to a few colleges of his choice. One night when Nic doesn't come home, David calls hospitals, goes through Nic's desk looking for clues. When Nic returns 2 days later his car is damaged. David takes an argumentative Nic for treatment. He's got a lot of drugs in his system and he's in denial. They promise that a 28 day program will help him immensely. At first it seems to help. Nic wants to be more independent and put college on hold. When the center calls that Nic had taken off, David drives around in search, finding his son cold, wet and sick. The spiral of on and off drug use begins. Anyone who has ever dealt with loved ones in heavy duty addictions will understand the guilt David feels about not seeing the signs of his son's need to take the edge off reality. One would think that a handsome young man, a talented writer himself, good schools, loving family, would be so disconnected. When Nic seems to be getting better, he wants to go school now. It seems to be going good, he even gets a girlfriend. Then he pops some pills, and he's back to another downward spiral. At this point, David starts to research everything about addiction. He even tries some drugs to understand. It's not an easy journey. Nic would show up saying he's been sober and wants some money. Then David gets that dreaded call from the hospital that Nic had an overdose. He gets into another program, he goes to live with his mom in L.A. The yo-yo effect of doing well to giving in to those urges of shooting up becomes a pattern. A certain point, David realizes that the only one that can fix Nic, is Nic. By taking him back, is enabling him to keep thinking he's got a safe place to land. This is a tough sell. There's no easy solutions, or lovely endings as the sun sets. There is no real insight as to why Nic would feel so insecure to the point where drugs make him feel or not feel. Apparently what Nic had to do to feed his habit is not covered in the movie. It's mostly from David's perspective as he tries to live and function without knowing what is happening to his beautiful boy. Tierney gives a real solid performance as the step mom trying to keep her younger children safe from Nic's erratic behavior without scaring them. Chalamet is making good on last year's nomination that he's not a fluke. His Nic shows all the fear, loathing and uncontrollable need for meth, his drug of choice, while still wanting to please his family and keeps some semblance of sanity. Carrell is also outstanding as the father at the end of his rope trying to reach his son until he realizes that he has to for everyone's sake, he must let go. The State Fair is over. Hope you had a chance to enjoy it on those couple of days that wasn't raining. Love this weather. Now the Oscar race movies are coming up, so the next couple of months should bring some interesting movies. For some reason they are putting all their eggs in numerous baskets with multiple screenings of Hunter Killer. There shouldn't be any reason why you couldn't get a pass to that one. Just another reminder if you want to add your friends to our Facebook Group, you have to make sure they actually live in the DFW area and somewhere on their page says they do. I typically don’t like horror movies. There are however a few exceptions to the rule, namely anything to do with either writer/director John Carpenter, writer-director Guillermo Del Toro, and Sam Raimi, who also wears many hats as a filmmaker. 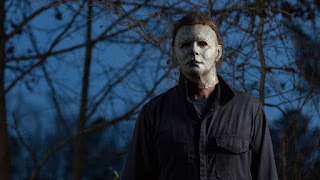 That is why I decided to see the all new update of “Halloween” by director David Gordon Green. I liked his release of “Joe” in 2013, which starred a more subtle turn from Oscar-winning actor Nicolas Cage. Gordon Green also directed the Sandra Bullock-led “Our Brand is Crisis” in 2015. 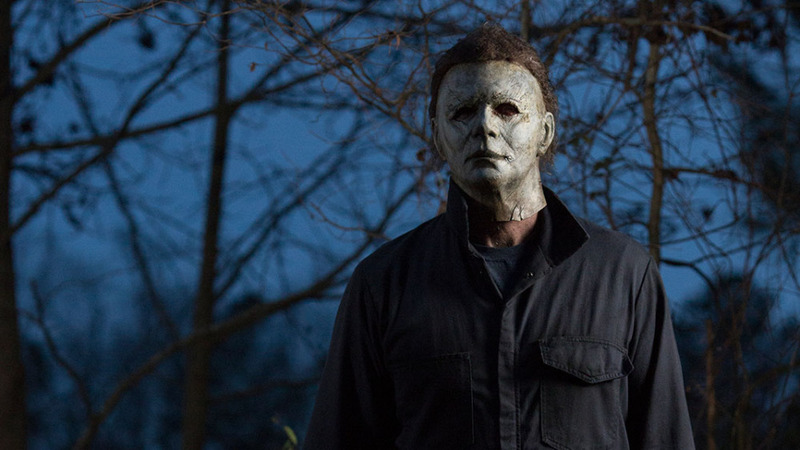 The original “Halloween,” released forty years ago this year, is a landmark horror film. Director John Carpenter took the everyday serial killer concept and twisted the story to make it something new and refreshing for American audiences. Flash forward quite a few years to 2018, where Laurie Strode is now not only a mother to Judy Greer’s Karen, but a grandmother to Andi Matichak’s Alliyson as well. She appears normal at first, but she has her entire house set up to get rid of Michael Myers, her nemesis for many a year. She is no longer a damsel in distress, but an ace at all forms of firepower, including crossbows, guns, shotguns and anything else that can dispel a bullet. Gordon Green relishes the violence factor quite a bit in this incarnation, since Myers bludgeons quite a few characters in this journey. Of course he does more than just gut them, because he has an uncanny ability via sheer strength and an incomparable stride and lackadaisical attitude to death. To make it more accessible to today’s youth, the journalists in this story are covering the Halloween related story for a school’s podcast. Returning to the new incarnation is the writer and director of the original 1978 adaptation, John Carpenter. This time out, however, he gets composition credit for just updating his original theme. He adds new fresh sound cues only those who relished the original will notice. Also in a small supporting role is Will Patton (“Kevin Costner's "The Postman,” “No Way Out”) as Officer Hawkins, who keeps peace in the small town of Haddonfield, Illinois. Not involved in the storyline is Josh Hartnett, who played her son, John, in “Halloween H2O: 20 Years Later.” There is no mention of him in any capacity, as if Laurie has spent her life as a crackpot hermit, not relating to the outside world in any capacity. For those keeping track, this is the seventh film in the series covering anything and everything that is Michael Myers. The ones directed by Rob Zombie do not count in the lineage, but they deserve a mention since it is covering the same sort of backstory. If you count those as well, the number increases to 11. Also not counted is chapter 3, subtitled “Season of the Witch” since it did not involve Myers in any way, shape or form. I had friends that enjoyed this entry more than I did, but I left with a small sigh and grimace of a so-so letdown. We just had lots of movies last week, and now there is only one movie. The big one for October. Hope everyone got their passes. If there are more movies that we failed to notice, please share with others. Out-of-this-World Astounding, an Intimate Look into One of America’s Iconic Figures. Humanity’s greatest collective achievement was, perhaps, to put man on the moon. Maybe the manned mission to Mars, currently scheduled for the decade after next, will surpass it, but the innovative forward-thinking it took to take that one small step that was also a giant leap is perhaps the current paragon of human intellect. 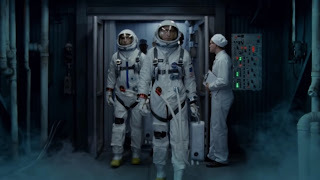 In First Man, the burden of this significance is placed upon one man in particular: Neil Armstrong, who also happened to attain status as the first man to walk on the moon. Director Damien Chazelle’s film examines what this meant to Armstrong – as an astronaut, as a father, and as a man. And, well, it’s complicated, to say the least. As an astronaut, the prospect of going to the moon means years of preparation, of simulations, of practice flights gone awry, and of hours upon hours of study. There is an intimacy in the way Chazelle and screenwriter Josh Singer (adapting James R. Hansen’s book First Man: The Life of Neil A. Armstrong) immerse us in the mundane details of the process to get an aircraft into space without breaking apart, killing the pilots, and potentially grounding the whole process. “We fail down here, so we don’t fail up there,” is how Armstrong puts it at one point. 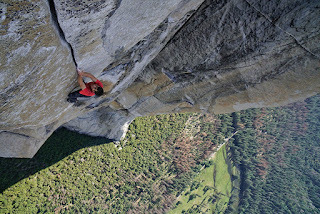 The opening scene, a dizzying simulation (abstractly edited by Chazelle regular Tom Cross) meant only to disorientate viewers and to put them on edge, certainly illustrates Armstrong’s point. It is 1961, and the flight that will put Armstrong (Ryan Gosling), Buzz Aldrin (Corey Stoll), and Mike Collins (Lukas Haas) on the moon is still eight years away. 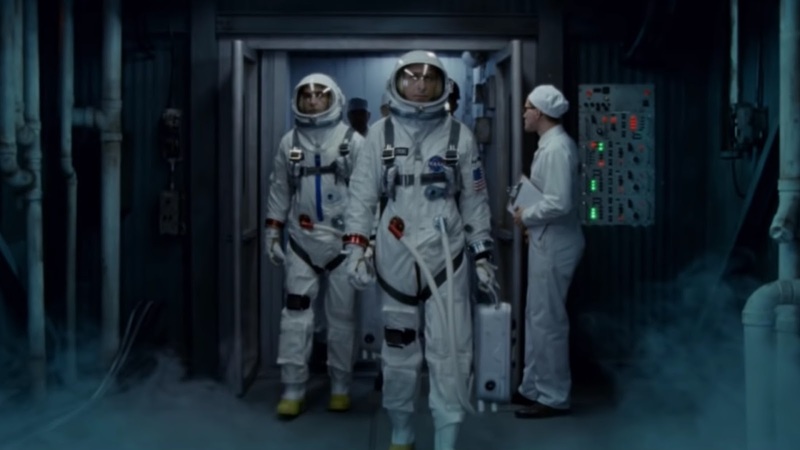 The major narrative thread of the film follows Armstrong into space for the first time on Gemini 8 with Dave Scott (Christopher Abbott), his involvement in various missions to include the doomed Apollo 1 mission (in which three pilots, played in the film by Jason Clarke, Shea Whigham, and Cory Michael Smith, died in a test-launch fire), and, finally, the moon landing itself in July 1969. Chazelle, with the accompanying help of Cross and cinematographer Linus Sandgren, approaches the flight sequences as intentionally disorienting and removed from the usual sense of awe we feel when dealing with space in movies. That is confined specifically to Armstrong’s running, leaping, and jumping tour of the moon’s surface, captured with reverence, humor, and a keen sense of the loneliness of the moment. 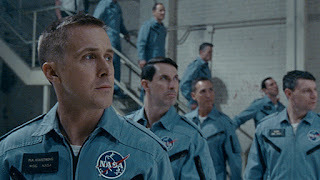 Smartly, the filmmakers provide the recreation of the landing against the backdrop of archival audio, meaning that the famous proclamation Armstrong made upon descending from the ladder of the craft is made by Armstrong himself in voiceover. As a father, we get a brief glimpse of his early years with wife Janet (Claire Foy), in which the pair endure the death of a daughter to cancer and celebrate the birth of two sons who, later, will worry that their father won’t return from his mission. These sequences are often gutting, especially because Foy’s performance is strong enough to elevate the usual “worried partner” material that accompanies movies of this sort. The worry goes far beyond Janet herself, and the outcome of this marriage, with its foundation in reality, is far bleaker than people might have known, given the legend of the story. That, ultimately, is the point of Chazelle’s film: to strip away the mythic legacy of the journey and, in the process, locate the man at the center of it. That brings us to the film’s examination of Armstrong as a man, which is often during quiet sequences of reflection. Gosling’s performance is exceptional because the actor, skilled at conveying a lot without needing to express it, understands that Armstrong was a man of stoicism, patience, and, to a fault, solitude. Consider the moment Armstrong learns of the Apollo 1 crash or the moments before the capsule doors open onto the lunar landscape. First Man is filled with lovely, intimate moments like this, and it is also filled with the sound and fury of the astronautical process. In other words, it deftly covers the range of feelings one has when witnessing a truly great movie, and Chazelle makes the whole thing look too easy. Tense and tender, grand and intimate, the film is an ode to technological advancement, scientific progress, and the intelligence of a people who looked up at the stars, wondered what was out there, and had the fortitude to find out. It is also the story of one man who finds himself at the center of it all and says, when he is told he will command a crew to do so, a simple “Ok” that contains multitudes. The best way to approach this neo-noir mystery thriller film written and directed by Drew Goddard is not to know anything about it. Because the best part of this movie is to let it surprise you. The set dressing and concept is major enjoyment of the film. The motel itself is its own character. It's kitschy and embodies the slick modern chic of 1969. It's stylish, atmospheric with a soul music heavy soundtrack. The idea was the El Royale is set on the border of California and Nevada. Half the hotel is in one state and the other with a line down the middle. You can choose which state you would like to spend the night. The characters include Seymour "Laramie" Sullivan (Jon Hamm), a vacuum cleaner salesman who wants the bridal suite a perk he explains can be charged to his expense account. He's brash and loud, so the fact that he is not what he seems is telegraphed right from the start. 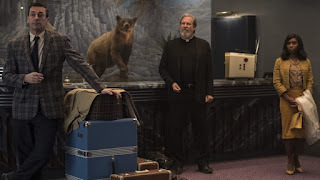 There is the priest Father Daniel Flynn (Jeff Bridges), lounge singer Darlene Sweet (Cynthia Erivo), Emily Summerspring (Dakota Johnson) a hippie chick with a prickly attitude and her sister Rose (Cailee Spaeny) who never officially checked in. They are welcomed by the motel clerk Miles Miller (Lewis Pullman), a young concierge who explains the differences you have to understand while choosing the state of your room. They all look full of secrets and mystery. The story relies on some flashbacks to fill in the character development that helps figure out what is going on with these people. There's a Tarantino element to the proceeding like in the Hateful Eight. Several divergent characters supposedly just happens to check in on this particular evening. Everyone seems OK, but as the story progresses there is Billy Lee (Chris Hemsworth) like Channing Tatum surprise appearance in the Hateful Eight to add more violence to the proceedings. It's always a charm to have Jeff Bridges in a film as he adds a humanity to the story. Cynthia Erivo's voice needs a whole movie of her own. John Hamm is loud and obnoxious for a salesman...but is he really selling vacuums? Dakota Johnson is efficient as the sister to the really sinister Cailee Spaeny who pretty much steals the last part of the movie. As for Hemsworth, the whole shirtless Adonis strut is nice and distracting. 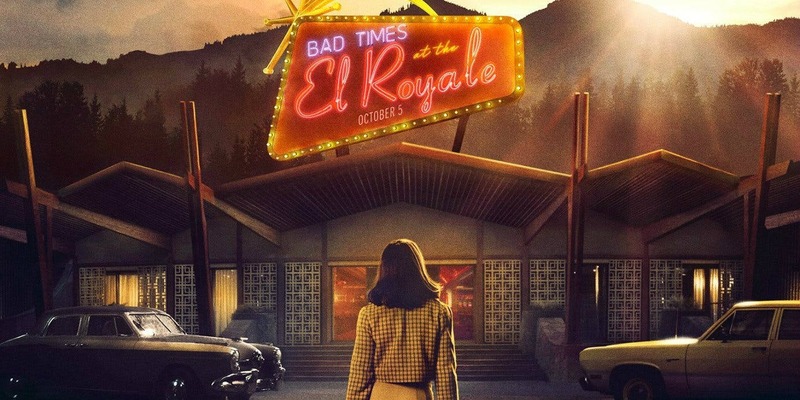 It's a wild ride at the El Royale. 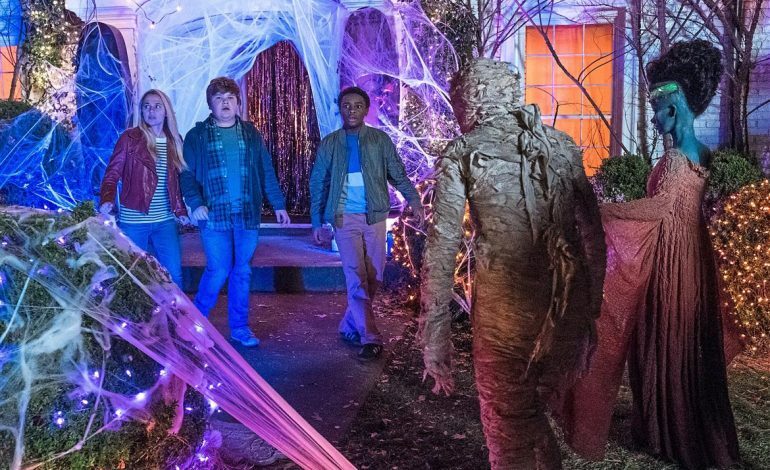 The children's horror book series of Goosebumps by R. L. Stine is back after the first film in 2015. That story had the characters of Stine's books come to life. This version has Halloween characters come to life to terrorize a small town while everyone is out tricks and treating. Directed by Ari Sandel and written by Rob Lieber from a story by Lieber and Darren Lemke brings some zany fun to what could be scary, but it won't freak out the young ones. Considering that going out on Halloween night and people decorating their houses seems to be a thing of the good old days as some places are opting for safe and boring homogenized Harvest Festival celebrations. Sonny (Jeremy Ray Taylor) and Sam (Caleel Harris) are best friends who started a business called the Junk Brothers so they can find treasures like American Pickers. They get a call to go to a run down abandoned house where they find a box with a locked book inside. Suddenly they find a ventriloquist puppet in the box with a note saying his name is Slappy. The boys decide to take him with them. Outside they meet the school bullies who steal the book and try to steal Slappy too. But Slappy causes the boy's pants to drop. And as they try to escape on their bikes, Slappy causes the bulliesg to have an accident. Sonny is working on a science project about the famous inventor Tesla that once had a electronic tower in their town. He works on his presentation in from of Sam and Slappy, but his model shorts out. After Sonny reads the magic words on the back of the card Slappy comes to life. That's when serious things start to happen. Slappy will do anything for his "family". That includes Sonny's sister Sarah (Madison Iseman) who was betrayed by a possible boyfriend. Sonny gets revenge on those that do his family wrong. Their mom Kathy (Wendi McLendon-Covey) thinks the puppet is a pip and discards the kids warning that Slappy is dangerous. Slappy gets upset when the kids try and get rid of him. He goes to the Halloween store and brings everything to life. The kids examine the book to find that the book was not finished. They contact the R.L. Stine Appreciation Society but can only leave a message for Mr. Shivers. Shivers is really R.L. Stine (Jack Black) packs his typewriter and heads out. Meanwhile the displays on neighbor Mr. Chu's house (Ken Jeong) which includes a giant balloon spider, mummies and other weird things. Mr. Chu helps the kids escape from the mayhem and to disguise themselves to get to the Tesla power tower to stop Slappy's attempt to destroy the town. Slappy also possessed their mom to become a puppet mom. It's a crazy wild ride. The relationship of the teen daughter and middle school boys is believable as bickering but loving siblings. Even the bullies who are jerks are sympathetic. And Slappy despite his terrible retributions really only wanted to have a family. It's great to have a Halloween movie that doesn't involve fear and blood. Something for the whole family. 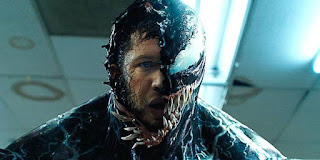 In “Venom,” the story tells about the journalist Eddie Brock who discovers the alien symbiote and gains super-strength powers, granting him the name of “Venom.” Trouble is happening when a leader of the Life Fountain Company named Carlton Drake (under his ego “Riot”) becomes obsessed with analyzing the human subjects and symbiotes illegally. Now Brock must face his biggest challenge as Venom in order to save humanity. “Venom” became a downfall as the film lacks comedy as comedy is ruled out in the favor of using CGI and special effects much more. Fleischer’s direction is very unlikable and his role of being a director is nowhere near like Ryan Coogler, Jon Favreau, Christopher Nolan, and Brad Bird. 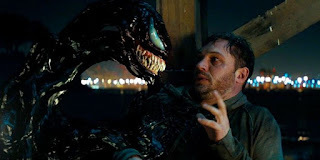 I admired Hardy’s performance as Venom as Tom Hardy is the best choice for an antihero’s role, but not so much on supportive actors Michelle Williams (“Manchester by the Sea”) and Riz Ahmed (“The Night Of” television series). The music sounds really great which adds up more points to the film’s structure and plot lines. The plot is okay but cheesy with an ungrateful tone of this whole movie and the cast. I didn’t enjoy some of the action sequences as fifty-percent of them are terrific but the fifty-percent is unpleasant as the story goes through. Let’s not forget about the special appearance of Stan Lee who made his cameo at the end. Despite not being a creator of Venom, he always have the commitment to show up in many Marvel films, including Marvel Cinematic Universe. This is the scene where the movie redeems itself from receiving a strong negative review. As a movie director, Ruben Fleischer made his terrific debut on 2009’s “Zombieland,” which received a score of 90% from Rotten Tomatoes. Pretty sure Fleischer could have pull the trigger to make this “Venom” great rather than making up something different. He and the studio wanted to make a film that will actually became a hit and guess what, it backfires them easily. The Marvel Universe is huge with multiple characters attacking and saving this world and beyond. Unless one is a comic book nerd, it's hard to keep track of who and what and in this case why. Does Venom belong in the Spiderman world and that means he would eventually belong to the Avengers universe? Is this just a stand alone entry? Will there be more? Obviously yes, since the extra scenes after the credits indicate a continuing adventure. Are we being overloaded with CGI superhero mayhem? Directed by Ruben Fleischer from a screenplay by Scott Rosenberg, Jeff Pinkner, and Kelly Marcel, the film throws the audience into the action without much explanation on the alien creatures. The beginning of the film sets up the action with a privately funded space craft carrying capsules of specimens crashing in the jungles of Malaysia. Something has taken possession of one of the pilots. Back in San Francisco, Eddie Brock (Tom Hardy) and his soon to be bride Anne (Michelle Williams) are stupid in love. Anne works for the LIFE Foundation run by Carlton Drake (Riz Ahmed). He's the boy genius who built his company with the idea of creating a better world. Of course he's a nefarious actor who funded the ill fated specimen gathering expedition. He is experimenting on the remaining samples saved from the wreck. His team of scientists have discovered that the "creatures" are symbiotic taking over a living host. Drake thinks that it will be a good way for humans to visit other planets. Eddie, an investigative journalist, is assigned to interview Drake, but he has to play nice. Unfortunately, he had peeked at this girlfriends computer and found information that smells like something is afoul. He confronts Drake, which gets Eddie fired from his job, and Anne also gets fired and breaks up with Eddie. The first part of film kinda chugs along establishing characters and motivations. One of the LIFE scientists calls Eddie because Drake has decided to up the experiments to human trials. Homeless people are gathered up and brought in as volunteers. The symbiotes end up eating their hosts from the inside. Dora (Jenny Slate) sneaks Eddie into the lab where he finds one of his neighborhood street people. He tries to break her out but ends up getting infected by the creature within her. He doesn't realize what is going on until the symbiote helps him escape. The rest of the movie involves Drake and company trying to retrieve their property and Eddie trying to figure out why he is exhibiting some strange behavior and hears someone talking to him in his head. Hardy fluctuates from his regular guy persona and his Hyde hybrid with the "James Brown lounge lizard" vocals. There are some silly moments when he tries to explain to his ex girlfriend in a restaurant where she is having dinner with her new boyfriend. He ends up jumping in the lobster tank eating the live lobsters. Venom has the need to eat live things, including biting off the head of the bad guys trying to pursue them. 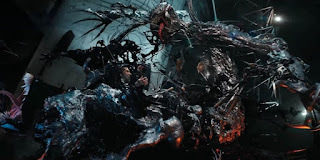 Venom tells Eddie that his species had planned to be discovered so they could invade earth to eat and destroy it. But having absorbed Eddie, it decides he likes it here and wants to stop the other of his kind who wants to take the spaceship back to get the others. Early critics of the new Marvel entry were harsh in it's assessments. It's really not that bad. It's pretty much just more of the same as far as structure and plot line. Hardy is always a joy to watch, while Williams doesn't have that much to do except for some pluckiness in the final act. 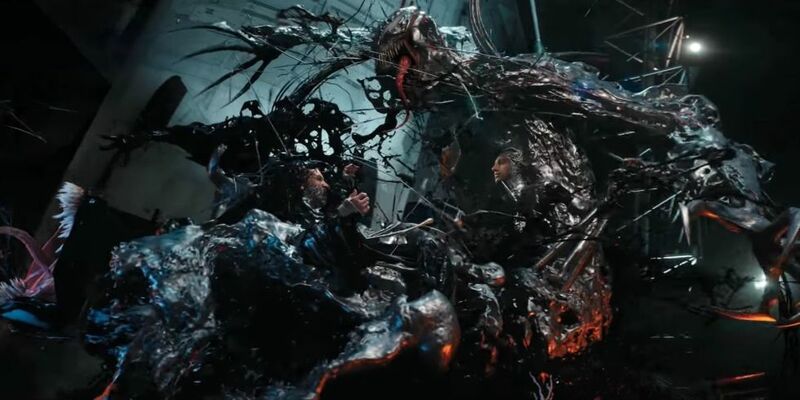 It still doesn't explain anything about Venom's origins or why Eddie was able to be a carrier for it when others failed. Maybe this will be addressed in the following sequels. In the meantime, just watch, enjoy, forget. 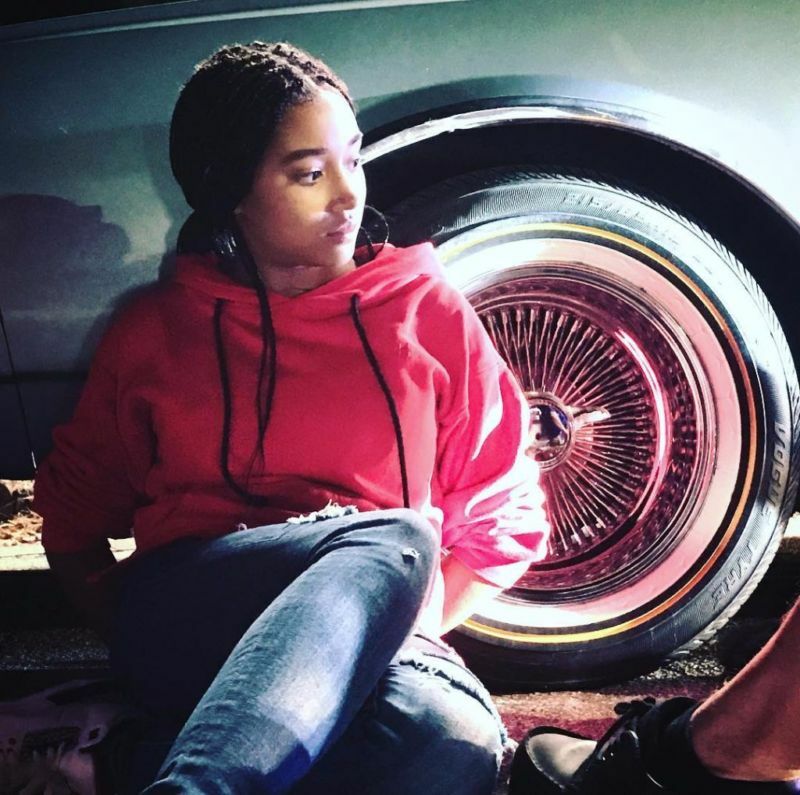 Tupac Shakur once explained in an interview that THUG LIFE was actually an acronym standing for “The Hate U Give Little Infants F**ks Everybody.” This new film directed by George Tillman Jr. and written by Tina Mabry and Audrey Wells is based on Angie Thomas' 2017 novel of same name. The book spent over 80 weeks on the New York Times best seller week and getting a push back by school districts for it's portrayal of drugs and sexuality. This young adult novel doesn't center on quirky growing up with romantic misadventures or an apocalyptic dystopia. It does address growing up in a world separated by racism and police brutality. Starr Carter (Amanda Stenberg) lives in poor predominately black neighborhood with her family. 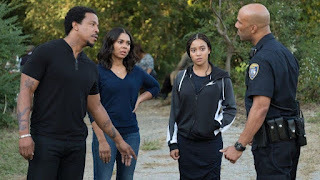 Her father Maverick (Russell Hornsby) schools his three children on the Black Panther Ten Points Program that reinforces their pride, confidence and dignity. He also makes them rehearse what they should do if they are ever detained by the police. Hands out where they can seen, do not talk back, do not instigate or fight back for any reason. 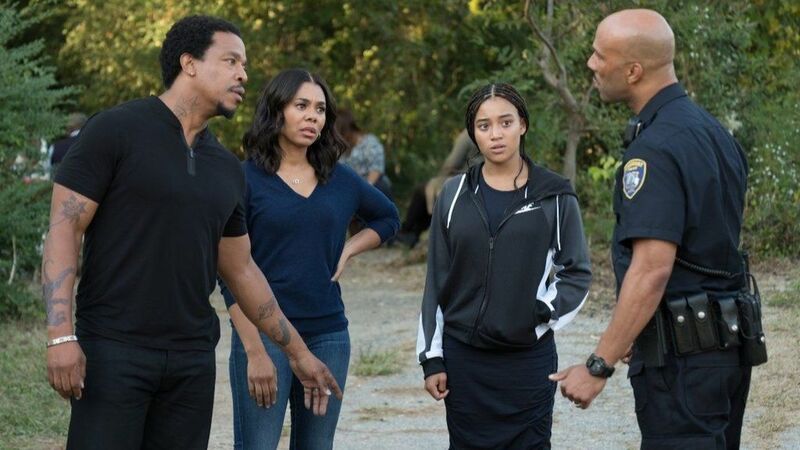 The violence in their neighborhood was one of the reasons that their mother Lisa (Regina Hall) sends the kids to a mostly white prep school in another town. Starr finds that she is acting like Starr Version 2 at school where her white friends try to act black and embarrassingly so. She even has a while boyfriend Chris (KJ Apa) who want to meet her parents, which of course she avoids. When Starr hangs with her homies, she is just another girl from the hood. At a weekend party she meets up with an old childhood friend Khalil (Algee Smith). Khalil has always harbored a crush on Starr, so when he drives her home after an altercation at the party, he kisses her. But he is understanding when she tells him she already has a boyfriend. Even though the street is deserted of traffic a cop pulls them over for not signaling a lane change. Starr immediately puts her hands on the dashboard. Khalil is talking back to the cop about why is being stopped. Things get out of hand when the cops thinks the hairbrush in Khalil's hand is gun. The panicky white cop handcuffs Starr who sits helplessly watching her friend die. At the station the questioning detectives seem more fixated on Khalil's drug associations than how or why he died. 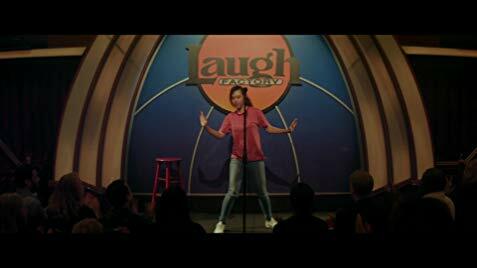 Her uncle Carlos (Common) is a police officer who tries to give her perspective on the dynamics of what goes on in a cops mind when making a stop. April (Issa Rae) a activist lawyer wants Starr to speak out at the grand jury while firing up the locals to get justice for justice. Khalil's drug boss King (Anthony Mackie) is afraid that if Starr talks, it will put his operation in danger. Meanwhile, her mother wants her to stay quiet, while her father says he named her Starr her light will shine. Amanda Stenberg who played Rue in the Hunger Games really shines her as a young woman treading between worlds trying to do the right thing. Especially knowing that even if she speaks up it will make no difference in the case. There's a bit of an afternoon special TV feel, but the movie speaks some solid truths. You feel for Starr's dilemma, her parents pain, her communities need to organize and let the world know what is going on, even if it means to take a knee during the national anthem. It's a powerful film that shines a light on police brutality and racism that should translate to all people no matter of what color. Parents should not have to school their kids on how to stay alive if ever stopped by the police. We are all humans just trying to get along. This one is very far out there, but with a worthwhile conclusion in the end. 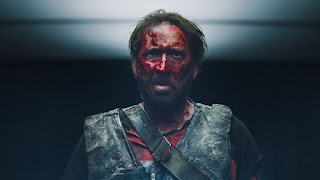 “Mandy,” for all intents and purposes is nothing more than a vengeance story covering the loss of past love and connection. In “Mandy,” Andrea Riseborough’s character is in love with Nicolas Cage’s Red Miller, who just works his day-to-day job only to meet after the end of her shift. Mandy works at a job where she can spend time reading a bizarre fantasy allegory that also represents her own life as well. The setting is 1983, and the viewer learns this through Red’s mentioning of Erik Estrada from the “C.H.i.P.S.” TV show from that era. That is only one of the elements on why Cage chose this script. He also mentions the comic book character of Galactus, an evil entity that consumes entire planets. 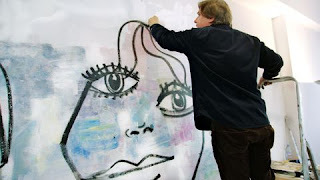 Cage also delves into the weird mannerisms that accompany some of his work. Like his Oscar-winning role in “Leaving Las Vegas,” he succumbs to a brief drinking habit after he mourns the identity and soul that was Mandy. He also shares some great scenes with Bill Duke (“Commando,” “Predator”), a close friend of his that was holding some of his weapons of his in storage. Duke’s Caruthers understands his circumstances and wishes him the best, since he feels that he will not see him alive again. The score is an immersive one, the type wherein the whole theater rattles during the events that unfold send you to another time and place. The villains in “Mandy” are reminiscent of the cenobites, the evil villains from Clive Barker’s “Hellraiser” entries. In “Mandy,” however they are just run-of-the mill human beings who can actually perish via stabbings, swordplay, chainsaws and anything else that a person can do to eliminate someone from this great planet of ours. Linus Roache is creepy as all get out at cult leader Jeremiah Sand. Sand feels insulted when Mandy hears some awful music he poured his soul into and she just giggles and laughs. The juxtaposition of his nonsense rants are intriguing, since he intersects shots of Mandy crossed over with himself. Give Cosmatos credit for this, since he wants the viewer to understand his character’s nonsense and fake philosophy. “Mandy” marks the sophomore directing effort from the filmmaker, whose only other credits were second unit work on his dad’s “Tombstone,” the Wyatt Earp story with Kurt Russell and Val Kilmer. Panos only other credit is for helming is “Beyond the Black Rainbow,” an avant-garde mystery-thriller which that he also directed in 2010. Like director Jonathan Grazer’s little seen “Under the Skin” with Scarlett Johansson a couple of years back, “Mandy” delivers, but for those who like their movies with a quirky and offbeat taste. It is also fun to see the Oscar-winning Nicolas Cage chew up some scenery for a few chuckles as well.